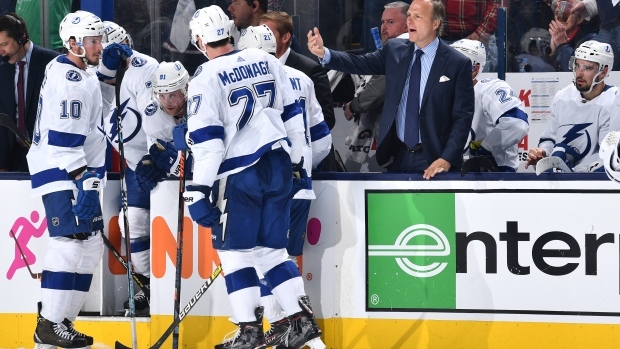 Could the Tampa Bay Lightning be on their way out of the playoffs already? After a dominant finish in the regular season in which they coasted to the Presidents’ Trophy with 128 points, they’ve fallen on hard times very suddenly after dropping the first three games of their series against the Columbus Blue Jackets. With Nikita Kucherov suspened for Game 3 and Victor Hedman absent due to injury, the Lightning were without a few key pieces in the 3-1 loss, and now, unlikely as it is, they face a sweep out of the playoffs in the first round. Just how unlikely? The Lightning are only the second Presidents’ Trophy winner to face this situation, following the 2012 Vancouver Canucks team that lost 4-1 to the Los Angeles Kings. Considering that Kings team became the first ever eight-seed champion in a North American major league, maybe this bodes well for the Blue Jackets. Will the #Lightning win Game 4 against the #BlueJackets? After a season of getting walloped by the Lightning, fans around the NHL are delighting in their hard times. Game 4 is on Tuesday, and the Lightning will try to stave off a potential sweep. Do you think they can pull it off, or will the Blue Jackets seal the deal?